You enter a lift. Your phone coverage cuts out and you’re staring blankly at a wall of steel and avoiding eye contact… but not at Darling Park. 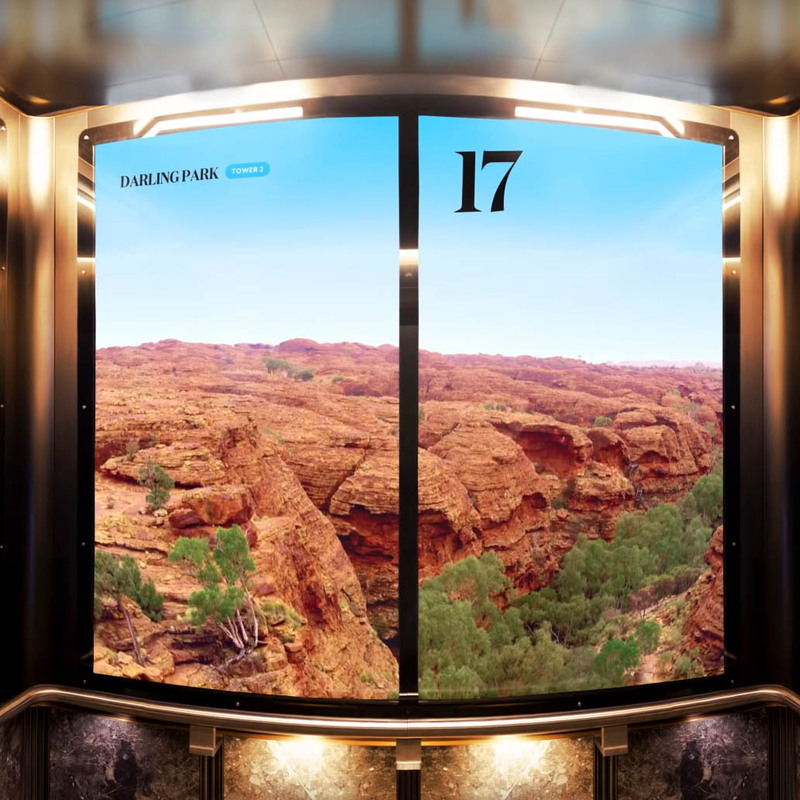 Davenport Campbell and the owners (The GPT Group, AMP Capital and Brookfield) have unveiled a new lift experience that invites a moment of mindfulness as you look up from your phone and out over the Blue Mountains. Large format screens create an immersive environment with scenery and sound from regional Australia that give a sense of soaring above the ordinary. Craving more mindfulness? Read more about the science behind mindfulness at the UCLA Mindfulness Research Center or start your day with a free guided meditation.